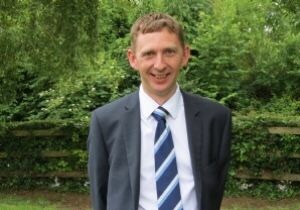 This blog is written by Chris Hildrew, Headteacher of Churchill Academy and Sixth Form, a large secondary academy in North Somerset. I will be updating this blog with what’s been happening at the academy, what we’re working on at the moment, and things that you might want to know. If you want to get in touch, please email churchill@churchill-academy.org. My daughter is due to start Churchill in September. When we met her tutor he talked about a website where we can log in to see how our children are doing and message the tutor. What is this website called please? Hi – the website is called “Insight” and you will receive logon details and full instructions in time for September. If you have a particular query before then, please email churchill@churchill-academy.org and someone will be able to get back to you. Enjoy the rest of the summer! Hello. I came across your website when I did an online search for “Churchill values”. I was thinking in terms of Winston Churchill, and wonder if your academy has any relationship to the late Prime Minister? Hi Jolene. Winston Churchill’s family has historical connections with the village and parish of Churchill, North Somerset, where our Academy is based – they are thought to have derived their name from it. However, this was generations before the late Prime Minister, so he does not have any direct connection to the Academy. Sorry!